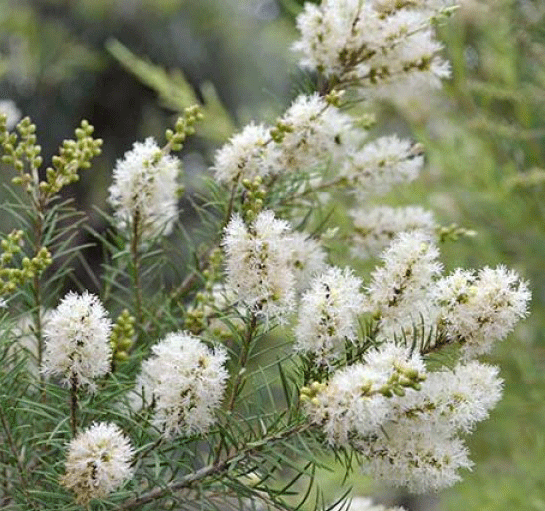 This myrtle family tree is known as swamp paperbark and can be found mostly in the south west of WA, often near water. It can grow to be 10 metres high with a bushy-like appearance. The flowers look like a bunch of white spikes or stamens. Due to it loving the damp conditions, it can be used as a screening plant or shrub if pruned regularly.